Research conducted by Ford reveals the insecurities and bad habits of drivers, including eating and drinking on the go, as well as texting, and changing CDs. 10% of drivers admitted to texting on the move overall, but the percentage doubles in drivers aged between 17 and 25. 30% of drivers admitted to eating and drinking while driving, 20% to driving when tired and 10% to using a phone without a handsfree kit. Besides surveying bad habits, the research looked into the age old question of which gender is superior when it comes to driving – almost half of the females asked believe themselves to be safer than males – a view shared by just 20% of males. Overall, 67% of drivers believe they would fail their driving test if they had to take a retest – a figure that rises to 73% with those aged between 17 and 25. 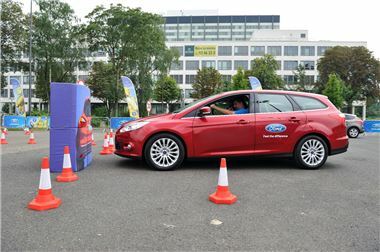 Adrian Walsh, of motoring safety partnership RoadSafe, said: “There is a need for people to learn again how to drive. Advanced driving lessons are an extremely good idea." Ford also asked about their latest safety technology – 32% said airbags were the most important technology, followed by Active City Stop with 19% and voice control systems, with 11%.